Freetown, Nov. 18, 014 (MOHS) – The Ministry of Health and Sanitation is expressing condolences to the bereaved family and relatives of the Late Dr. Martin Salia, Medical Doctor and Surgeon Specialist attached to the Connaught Hospital in Freetown whose sudden death came as a big shock to the Management and entire staff of the Ministry. He proceeded for further studies in General Surgery overseas with the Pan African Academy of Christian Surgeons (PANACS) and qualified as a General Specialist. Dr. Salia after his services outside Sierra Leone decided to return home to offer his expertise and experience as a Surgeon Specialist, and on the 9th December 2011 appointed Senior Registrar (Surgeon) in the Ministry of Health and Sanitation. The Late man attended the Roman Catholic Boys Primary and the Yengema Secondary Schools in Kono, and did his Sixth Form at the Prince of Wales Secondary School in Freetown. From 1992-2000 trained at COMAHS and successfully came out with a Bachelor of Medicine and Bachelor of Surgery, and later proceeded to the Pan African Academy of Christian Surgeons, University of California from 2004-2008, certified as General Surgeon Specialist. His work experience includes services at the Banso Baptist Hospital Cameroon as General and SIGN Surgeon, Cardiothorasic and General Trauma Surgery in Tenwek and Kijabe hospitals in Kenya from 2007-2008. 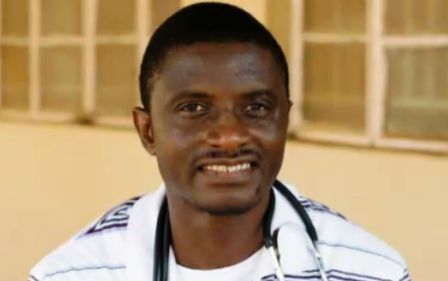 Dr. Salia also worked at the UBC Hospital Mattru, Bonthe district as Doctor In-Charge, and served as Country Doctor for the Staff and Department of MSF France.